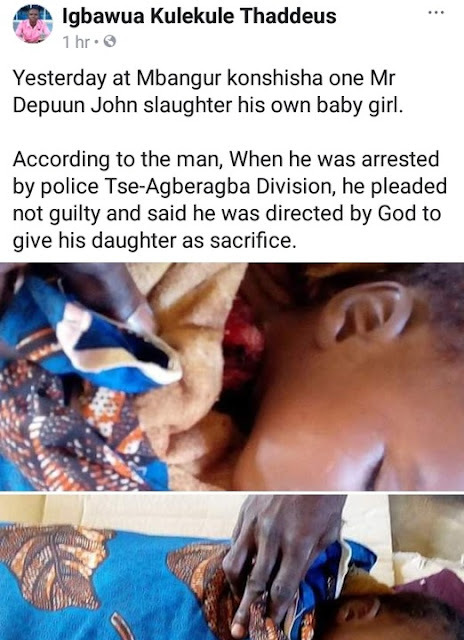 According to the report, a man who was identified as Mr. John Depuun of Mbangur, Shangev Tiev of Konshisha LGA, murdered his son and said that God ordered him to use it as a sacrifice. 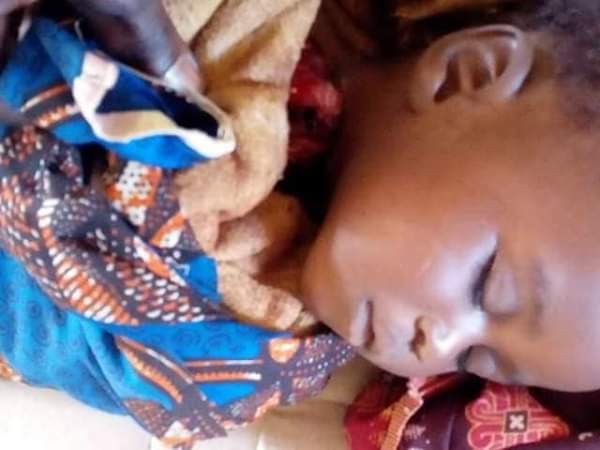 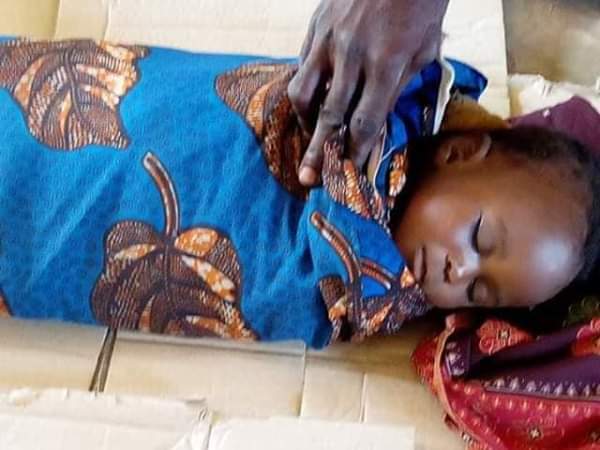 The innocent child is dead in the headquarters of the police of the local government of Konshisha, Tse-Agberagba. These are indeed the last times!